A type of pigweed, this wind pollinated weed is not native to Arizona. It may be found along road sides, in agricultural area, ditches, and vacant fields in the fall. It can be found covering open fields in September through November in the Phoenix area if monsoon rains have been frequent. Russian Thistle is a common weed throughout the Southwest. It is not native to Arizona and is found in areas where the natural desert has been disturbed such as vacant fields, roadsides, and agricultural areas. It is commonly known as Tumbleweed. Like many allergenic weeks, it distributes it’s pollen in the wind rather than relying on insects or birds and as a result is a major contributor to fall allergy and asthma symptoms in Phoenix. 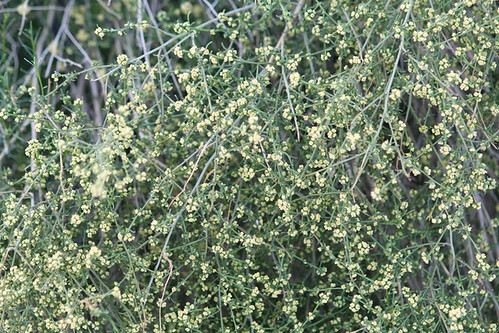 Desert Ragweed is a small shrub (2 ft) found throughout the Sonoran desert. It is dormant throughout most of the year but comes to life during the spring, particularly if winter rains have been substantial, sprouting leaves and flowers until the heat of summer sets in. 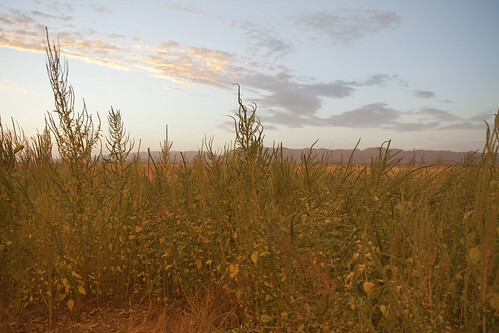 In some areas, depending on rainfall and elevation, Desert Ragweed may pollinate in the fall as well as spring. 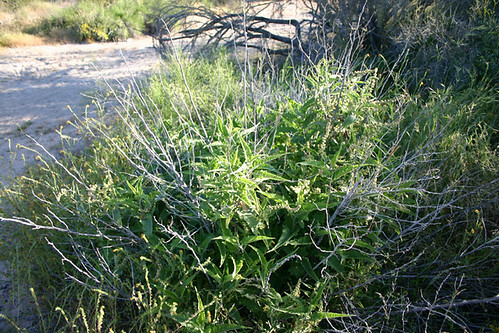 It is one of the most prevalent varieties of Ragweed in South Mountain Park and desert areas surrounding Ahwatukee. Rabbit Bush (Triangle Leaf Bursage) is a member of the ragweed family. It is native to the Sonoran desert and is one of the most commonly encountered plants in South Mountain and McDowell Mountain Parks. It has been used in desert landscaping as a hardy, drought tolerant shrub. This large plant can grow to 6 feet and is common throughout southwestern Arizona and the southern half of Baja California. 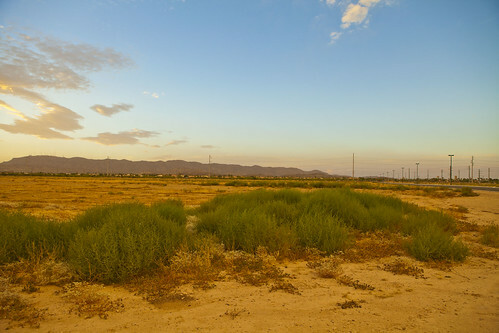 It can be found in desert washes, irrigation canals, and road sides. The flower is wind-pollinated and the pollen can cause allergy symptoms in individuals sensitive to other varieties of ragweed. Burro Brush, also called White Burro Brush, is found throughout the Sonaran desert of Arizona. It is wind pollinated, and a significant cause of allergy symptoms in the spring.